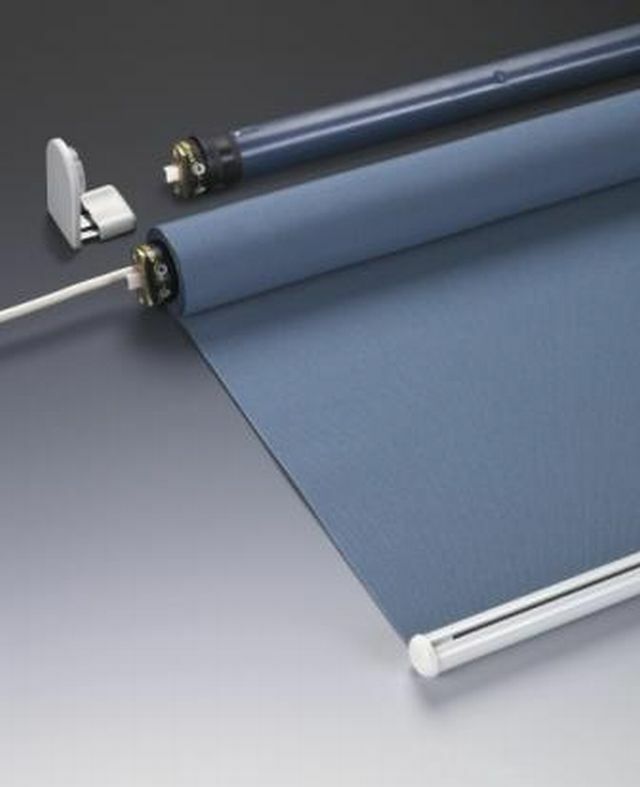 4960 Roller Blind System is a wall, ceiling or recessed mounted, electrically operated roller blind, designed for medium duty contract and domestic applications. It is made to measure and supplied ready assembled. Full open-close-stop control is available at all times. Motor position is preferably situated on the left side. Single: Complete with end brackets and support covers. Double system: Complete with end and centre brackets, end brackets support cover and centre brackets support covers. Support tube dimensions: 41 mm diameter. Support tube material/ colour: Silver anodized aluminium. Continuous headrail: Fixed to soffit with ceiling brackets Ref 3044 or 10539. Maximum width: 2400 mm (single system), 4800 mm (double system). Maximum fabric weight: 5.5 kg, including bottom weight. A wide range of Silent Gliss® fabrics is available; consult manufacturer for details. Non-latching white plastic switch available in one, two, three, four, five and six gang options; consult manufacturer for details. The product information below is from the NBS Plus library of product clauses offered in NBS specification products. It has been created by NBS for Silent Gliss Ltd. Each product clause is authored in NBS format and is intended for inclusion in project specifications. Please note that NBS product guidance is not a replacement for the manufacturer's literature and it is recommended that Silent Gliss Ltd be consulted before specifying.